In 2017, Baylor Genetics introduced the first clinical non-invasive prenatal multigene sequencing screen, PreSeek, to the commercial market. The Baylor College of Medicine and Baylor Genetics team that developed the technology has now released initial results of a clinical study evaluating its accuracy and utility. The study appears in Nature Medicine. Although traditional noninvasive prenatal screening tests detect genetic diseases associated with chromosomal abnormalities that increase in risk with advanced maternal age, PreSeek is the first noninvasive screening test in the United States to detect multiple dominant monogenic disorders that, although can occur at any time, become more prevalent with advanced paternal age. It is a complementary test to traditional prenatal screening tests, providing a more complete picture of the risk of genetic disorders by sequencing cell-free fetal DNA for pathogenic (disease-causing) or likely pathogenic variants associated with select single-gene conditions. Led by Dr. Jinglan Zhang, assistant professor of molecular and human genetics at Baylor College of Medicine, the PreSeek development team carefully selected genes by a thorough curation process focused on the detection of de novo (not inherited) variants in single-gene disorders affecting the skeletal, cardiac and neurological systems. "Many of the disorders detected by PreSeek are not typically associated with abnormal prenatal ultrasound findings or may not be evident until late second or third trimester or after delivery," Zhang said. "Since PreSeek is recommended during the late first trimester or early second trimester, knowing whether a fetus has one of these significant and often devastating genetic disorders can prompt parents and their physicians to make timely decisions for further evaluation and management of the pregnancy." For the initial clinical study, 422 pregnancies, with or without abnormal ultrasound findings or family history, were tested. Follow-up studies with available outcomes confirmed 20 true positive, 127 true negative, zero false positive and zero false negative results. Mean paternal age was 36. 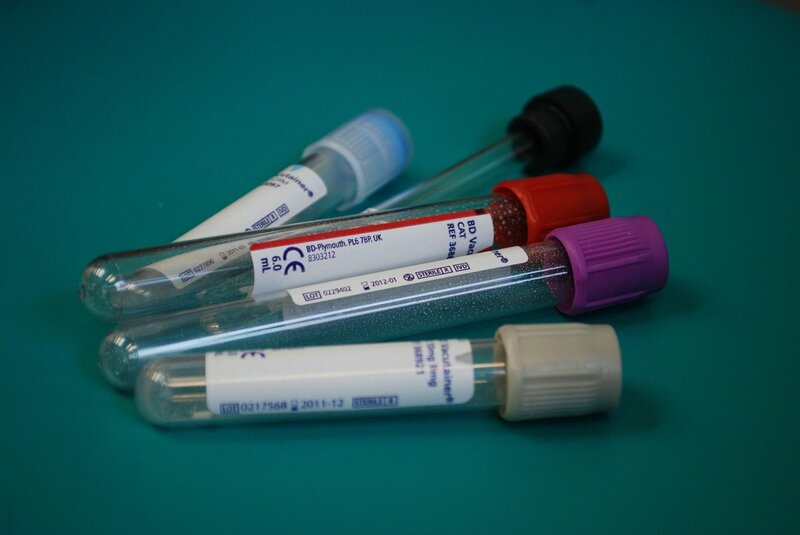 These results demonstrate that this noninvasive test can provide valuable molecular information for the detection of a wide spectrum of dominant monogenic diseases, complementing current screening for aneuploidies or carrier screening for recessive disorders. "Although we were becoming increasingly aware that new dominant mutations in certain genes are an important cause of early-onset genetic conditions, until this study, we could not offer non-invasive screening during pregnancy for a number of these at once in one single test. Based on the early results of this study, PreSeek is a safe and reliable option for evaluating pregnancies for their risks associated with more common dominant monogenic disorders," said Dr. Ignatia Barbara Van den Veyver, director of prenatal and reproductive genetics and professor of obstetrics and gynecology and molecular and human genetics at Baylor College of Medicine and a coauthor of the paper. "This new non-invasive test provides valuable molecular information to maternal-fetal medicine specialists and genetics professionals allowing more comprehensive prenatal genetic testing." In the future, the Baylor team will continue to evaluate the cost effectiveness of the test and follow the positive and negative cases to determine the clinical utility on a population basis. "PreSeek delves deeper than other noninvasive prenatal tests on the market and offers a new alternative," added Dr. Christine Eng, chief medical officer at Baylor Genetics and professor and vice chair for diagnostics in the Department of Molecular and Human Genetics at Baylor College of Medicine. "We hope these initial results will increase awareness of the role of PreSeek in the expanding area of prenatal care and maternal-fetal medicine."